Outstanding One Local Owner new Ford Trade with a Clean Carfax! 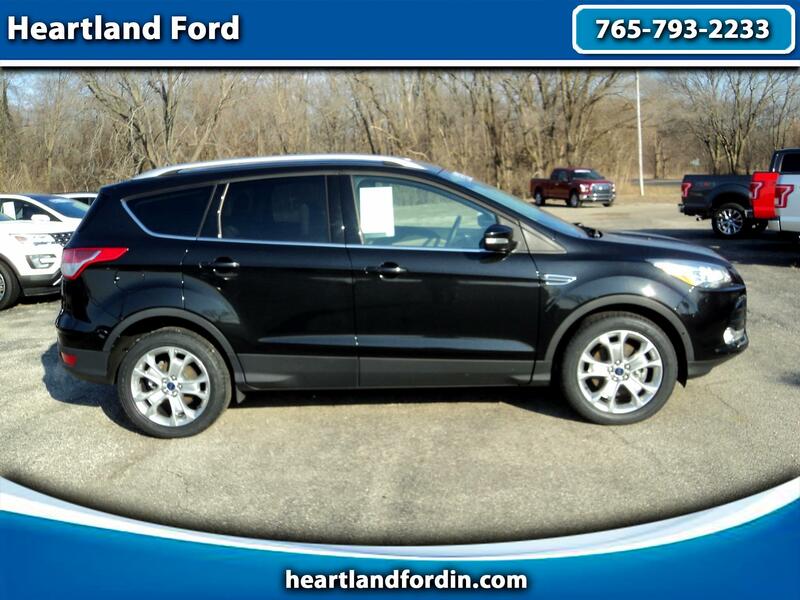 This Beautiful Escape Titanium 4WD is fully equipped with the Equipment you desire, like the 2.0 Liter Ecoboost engine, automatic transmission, Heated Leather Seats, Power Panorama Roof, Navigation System, HID Automatic Headlamps, Blind Spot Detection System, Active Park Assist, Rear View Camera, Remote Keyless Entry... Super Clean Escape that's Ready for your family! Also features our Exclusive Heartland Ford Limited Lifetime Powertrain Warranty for a lifetime of worry free ownership! Call or stop in today to make this Escape your next vehicle!